Understanding the AutoCAD Window,Starting a Drawing,Panning and Zooming to Adjust Your View,Understanding the Layout View,Understanding How Command Options Work. 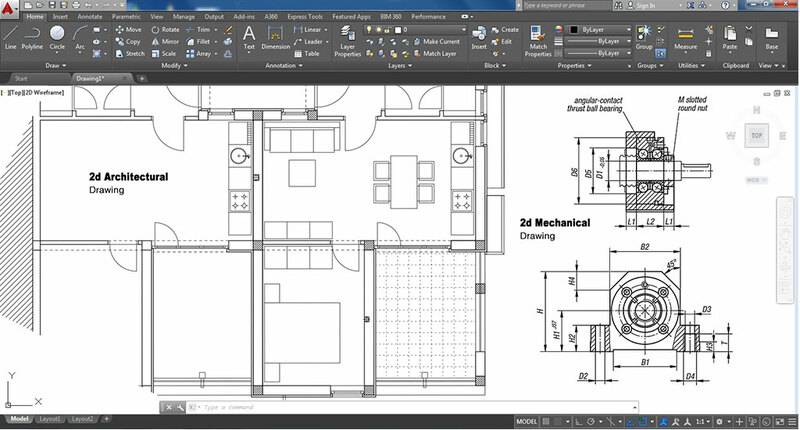 Understanding the AutoCAD Coordinate System, Setting Up a Drawing, Using a Digital T Square and Triangle,Getting a Visual Reference with the Grid Mode, Snapping to the Grid or Other Regular Intervals , Changing the Grid and Snap Settings, Selecting Exact Locations on Objects,Aligning Objects Using Object Snap Tracking and Tracking Points, Using the Temporary Tracking Point Feature. Working with the Draw Panel, Drawing Straight Lines,Drawing Circles and Arcs,Drawing Curves,Drawing Parallel Lines, Drawing Revision Clouds,Working with Hatch Patterns and Solid Fills, Drawing Regular Polygons, Using Objects to Lay Out Your Drawing. Selecting Objects, Editing the Windows Way, Changing Objects with Grips and Dynamic Input, Controlling Objects Using the Properties Palette. Selecting Objects, Erasing Objects, Joining Objects, Moving and Copying, Scaling, Stretching, and Rotating, Breaking an Object into Two, Editing Xrefs and Blocks,Editing Polylines. Creating and Assigning Layers, Setting the Current Layer, Controlling Layer Visibility, Locking Layers from Printing and Editing, Finding the Layers You Want, Taming an Unwieldy List of Layers, Saving and Recalling Layer Settings, Using the Layers Panel to Manage Layers, Organizing Visual Content by, Using Properties . Organizing Objects by Using Groups, Getting Multiple Uses from Drawings using External References, Keeping Track of Drawing Components with Design Center, Keeping Tools on Hand with the Tool Palettes Window. Adding and Formatting Text, Understanding Text and Scale, Using Styles to Organize Your Fonts, Adding Single Words with the Single-Line Text Object, Adding Tables to Your Drawing. Understanding the Parts of an AutoCAD Dimension,Dimensioning in the Model or Layout View,Drawing Linear Dimensions,Dimensioning Nonorthogonal Objects,Adding a Note with an Arrow Using the Leader Tool,Using Ordinate Dimensions,Adding Tolerance Notation,Editing Dimensions, Setting Up the Dimension’s Appearance. Setting Up a Drawing for Printing, Printing Your Drawing, Storing Your Printer Settings, Controlling Color, Lines, and Fills Through Plot Styles,Assigning Named Plot Styles, Directly to Layers and Objects, Converting a Drawing from Color Plot Styles to Named Plot Styles .